This incredibly popular 4 slot box is a great choice for small, simple setups. Maximum power is 700mA per rail. Format is a “square box”, as simple as possible. Six has always seemed to be the magic number in 500 Series. Easily configurable as a standalone box or a rack mountable unit, it is sold with rack ears included. Maximum power is 1.8 Amps per rail. The preferred choice in big studios or avid 500 series collectors, it features 10 slots in a 3 unit rack format with ample power. Maximum power is 1.8 Amps per rail. Mainly designed as a rackmount 500 Series mixer, it allows 10 tracks to be summed while being processed with 500 series outboard. A passive summing topology employing a class A transformer coupled output stage gives it a classic, vintage 70s sound. 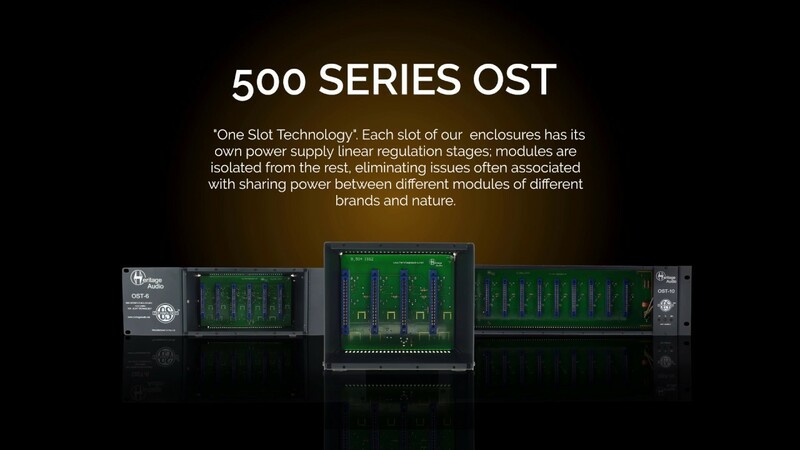 It delivers a maximum of 1.6 Amps per rail to the 500 Series modules.